Phyllis Eugenia (Garron) Bradway, 84, of Hudson, MA, passed away peacefully at home, on Wednesday, January 16, 2019, with her loving family by her side. She leaves behind her beloved husband Robert K. Bradway. Phyllis is also survived by her 4 children, Russell K. Bradway and his wife Kelly of Shrewsbury, Robert E. Bradway and his wife Diana of Stow, Diane A. Bradway and her husband Paul Bryant of Ashburnham and James F. Bradway of Hudson; 2 siblings, Sandra M. Shea and her husband Raymond of Beacon Falls, CT and Edmond Garron of New Orleans, LA; six grandchildren, Vanessa, Sarah, Amanda, Tyler, Jacob and Jack Seamus and six great-grandchildren, Seth, Bradyn, Charles, Hector, Rafael and Israel. 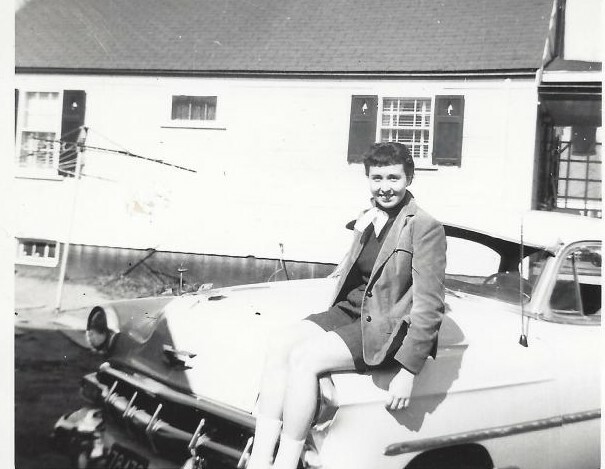 Phyllis was born on September 29, 1934, in Proctor, VT, a daughter of the late Edmond F. and Mary A. (Wood) Garron. She was raised in Springfield, VT, where she graduated from High School. Following high school, she matriculated at Castleton Teacher’s College, where she earned her bachelor’s degree in teaching and subsequently began teaching elementary school in Vermont. Phyllis moved to Hudson with her husband Robert, in 1962, and has been a longtime member of Saint Michael Parish, where she enjoyed volunteering. Phyllis was a devoted homemaker and dedicated mother and grandmother. She had and artistic flare, which she expressed through her interior decorating at home as well as decorating cakes. She was also a talented seamstress, crafting and designing many of her own outfits. All services will be held privately. TIGHE HAMILTON REGIONAL FUNERAL HOME is honored to be assisting with her arrangements.